RCAF pilot’s scroll map [detail]. Smithsonian Air & Space Museum. 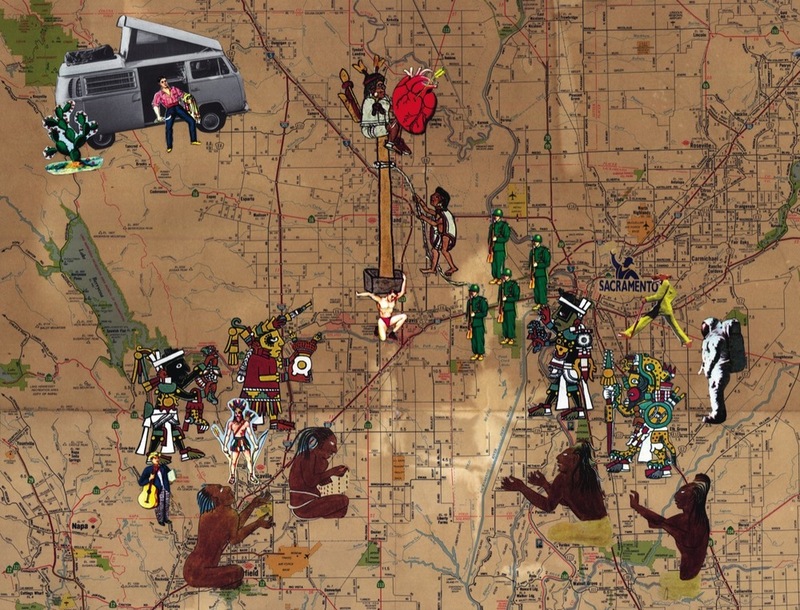 In California, there is a group of pilot-artists, largely unknown yet renowned for their fleet of adobe airplanes and their key role in the Chicano civil rights movement. As Cesar Chavez’s bodyguards and poster makers for the United Farm Workers Union, they created a vast repertoire of silkscreen posters, murals, poetry, performances, and public ceremonies that served to counteract the shame that once surrounded all things indigenous. Their air force stance and self-mythologizing has enshrined them in California lore.